This book was very worth my time. The story was just fantastic, and it was easy to fall in love with the characters. My favorite was Kade :) Anyways, The only part that frustrated me is that at the end, the way there is a HUGE cliffhanger. If I had a print copy, I would have thrown it across the room. Mind you, I almost broke my computer. I am hoping for a sequel soon! I give this book 5 out of 5 book-a-saur paws. Holy crap… what do I do? What do I do? and Darkling. I’d take flying monkeys over the Darkling any day! the oncoming evil that lurked around the corner. My family is what keeps my heart beating, and my world a happy place to be. I love reading great books that whisk me away from reality, even if for a little while. :) Writing is my passion. I love creating new worlds and new characters, and taking wondrous adventures with them. In My Dreams & Hidden Wings were both recently published through Crushing Hearts and Black Butterfly Publishing. 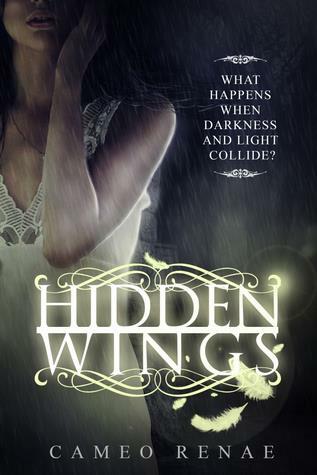 Descent (A Hidden Wings novella) will be released May 15, 2013, and Broken Wings (Book 2 in the Hidden Wings Series) will be released June 1, 2013. So excited for the next one! Thanks! !